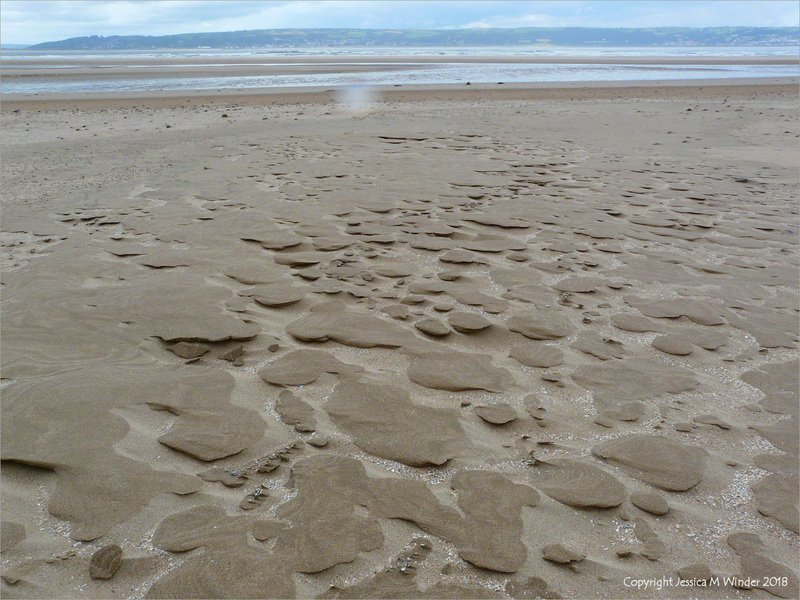 The wind driving the creamy coloured seafoam up-shore over the beach at Swansea Bay following Storm Callum in October created a great variety of natural patterns, sometimes influenced by small rivulets of surface water flowing seawards or by the rippled shapes of the sandy surface across which it travelled. So beautiful, Jessica!😊 You always see the beauty and detail of the big context! I wonder what is the chemical basis of this foam. Is it some substances produced by algae or bacteria? I’m put in mind of windswept snow patterns we often have in winter. Thank you, John. I always appreciate your comments. I think these references put the answer to your question more elegantly than I could. Thank you, Claudia. I am sure there would be parallels, although we have snow so infrequently where I live that I have not experienced it for myself. Yes, the wind seems to have intermittently scooped up parts of the surface layer of snow as it blows across. I have seen similar results on compacted sand when winter winds laden with airborne sand drive across the beach and excoriate the surface. I’ll have to look out some old shots for you for comparison. I’ll be interested to see the similarities. I’ve always liked that sculpted look of hardened snow especially when it gets a little dusting of new snow on top. 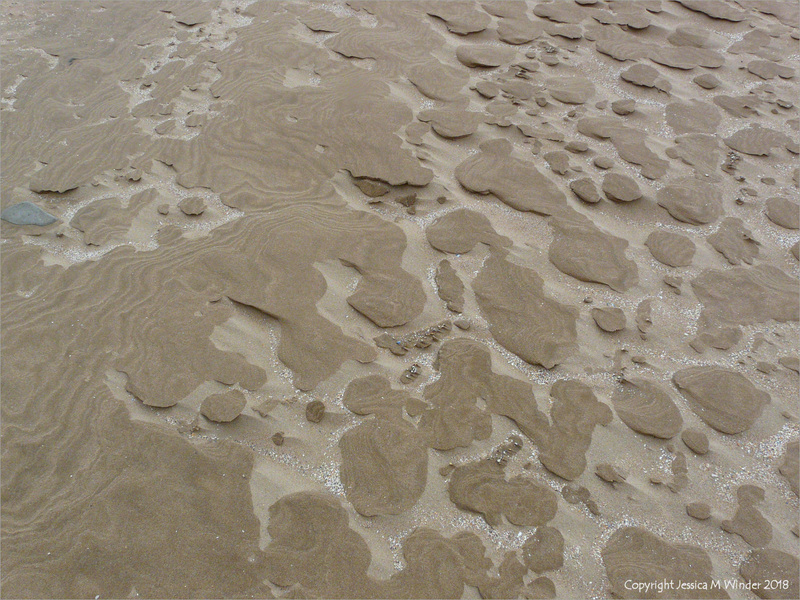 This is fascinating, that snow and sand can behave the same way with the wind’s influence. I think the compacting is the key – light snow will drift but will not form this look until it compacts due to weight or to a little melting and refreezing, and it can’t b e too much but just the right amount of everything. How interesting this is, the confluence of the factors making such beauty possible. Thank you, Claudia. There is a lot of synchronicity in Nature I think because of the physics they share in the underlying and formative flow and movement of air, water, and particles.